Working at wide widths and behind small tractors, the models KWT 7.82, KWT 8.82, KWT 10.02 and KWT 11.22 with transport running gear are the ideal machines to operate behind low-horsepower tractors with small lift capacities. Working at widths of up to 11.00 m (36’1″), these tedders are yet further evidence that KRONE delivers the goods to modern farming. The Hay Tedder is an ideal machine to spread, air and turn all types of forage in any type of terrain. It allows a perfect and even spreading of forage. Tines pick up a small quantity of forage on every turn of the rotor and lay forage on the ground perfectly aired without damage or dirt. With an hydraulic lift system on the two outer rotors this allows the operator to put the machine in working or transport position through the tractor hydraulic system. The MALONE Tedd-Air rotary tedder range enables the farmer & contractor to increase the dry-matter content in your crops quickly by speeding up the drying process. By doing so, you influence the consistency and the quality of your silage. 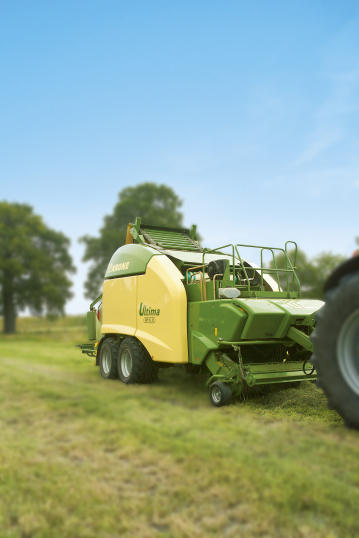 The MALONE Tedd-Air range has a “Double Hook-Tine” design which enables the user to obtain more capacity while ensuring the forage remains free from soil contamination. The ‘Tedd-Air 570” & the “Tedd-Air 840” are specially designed for forage tedding and spreading by means of rotating spring tines (double hook tines) attached to rotors.